Thanksgiving is in a few weeks and I’m willing to bet most of you will be standing in a kitchen somewhere doing a whole lot of cooking. 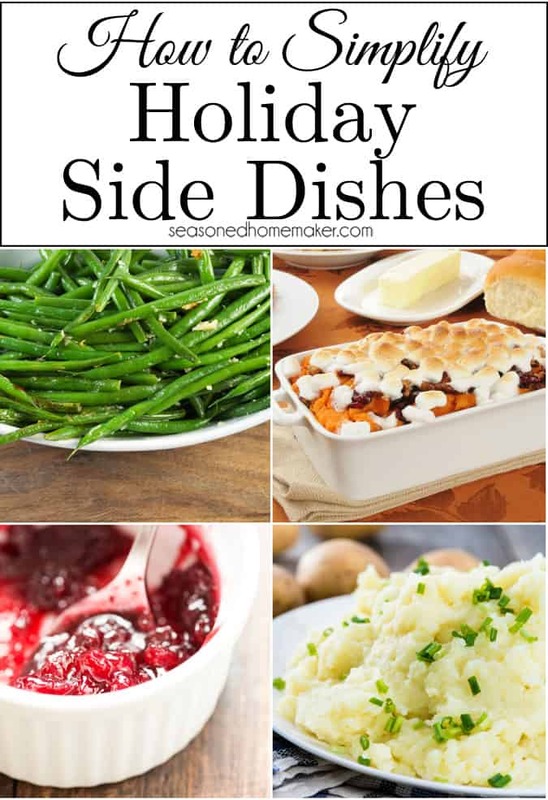 I’m going to show you some Simplified Thanksgiving Side Dishes so you can do less standing in the kitchen and more hugging of friends and family. You see, I was raised by a mother who thought that holiday meals were about presenting an image, a la Norman Rockwell. Love on all of those family members you haven’t seen in a while. Be thankful for all your blessings. Chat with your nieces and nephews about their lives. Gossip about that crazy distant relative. Take a walk with everyone after dinner. Relax and visit over a cup of coffee and a piece of pie. If you want your Thanksgiving to be less about presenting a perfect meal and more about having a perfectly wonderful time with loved ones, then I have a few ways to help simplify some of the cooking. Remember a while back when I broke up with my Crock Pot? Well, it turns out that the Instant Pot 7-in-1 Duo Pressure Cooker is the perfect tool for simplifying Thanksgiving meal prep. This is less about the recipes; I’m sure that most of you have treasured recipes. This post is about simplifying the holiday cooking process, allowing you more time to spend precious holiday moments with loved ones. The key thing to remember with any pressure cooker is to never over fill! NEVER.OVER.FILL! Peel and cube about 2 lbs. of russet potatoes. Set aside in a bowl of cold water. This is ideal to do the day before because they will refrigerate well in water. Add 1 C. of water to the bottom of the Instant Pot. 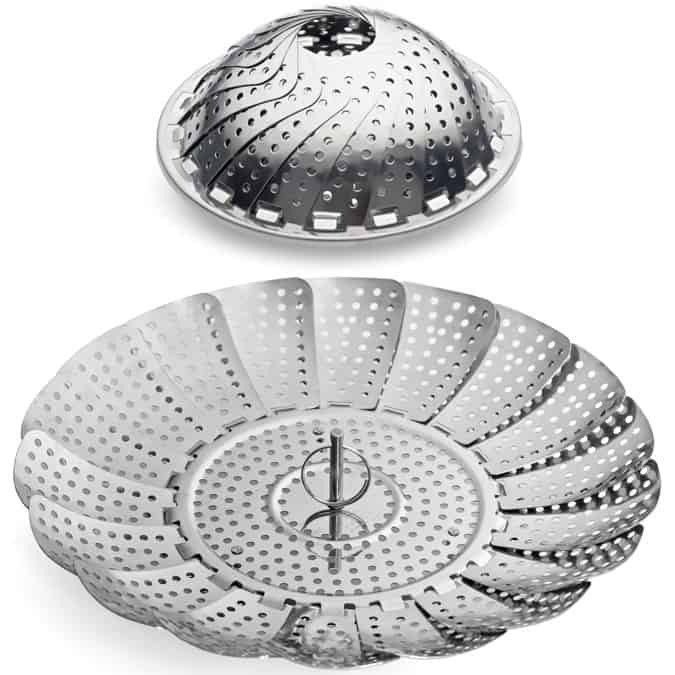 Insert a stainless steel steam basket (affiliate) like this one into the bottom of the pot. Add in your cubed potatoes. Close and lock the lid and make sure the Pressure Release Valve is closed. Press the [Manual] button (which defaults to 30 minutes) and use the [+] or [-] buttons to set the cook time to 7 minutes. The pot will start in a few seconds. Cook at High Pressure for 7-9 minutes, depending on the amount of potatoes. If slightly more than 2 lbs, then add a minute, etc. When the potatoes are done, release the pressure by pressing [Cancel] and then turning the quick pressure release valve (on top of the lid) to [Venting]. Once the pressure is completely released you will be able to open the pot. Be sure to lift the lid away from you to avoid too much steam. 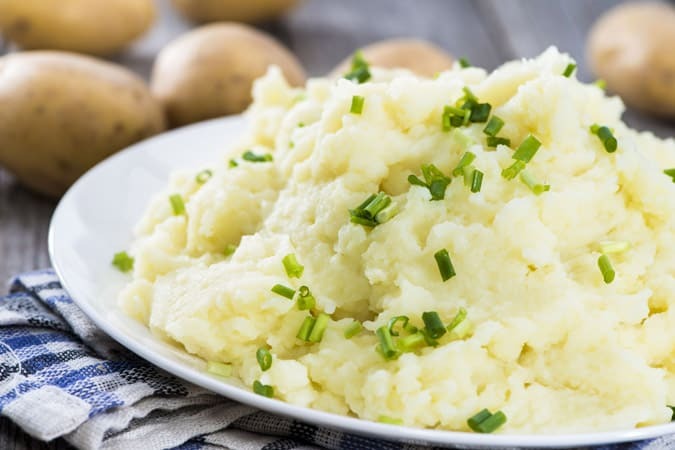 Remove the potatoes and mash them in a separate bowl adding milk, butter, and salt to taste. Place in a serving dish and top with green onions, bacon, or cheese (or all three!). Keeping the mashed potatoes warm can be a challenge. I usually put mine in a Corning Ware dish, cover, and keep them on warm in the oven. Ideally, this should be one of the last items you cook before serving your holiday meal. 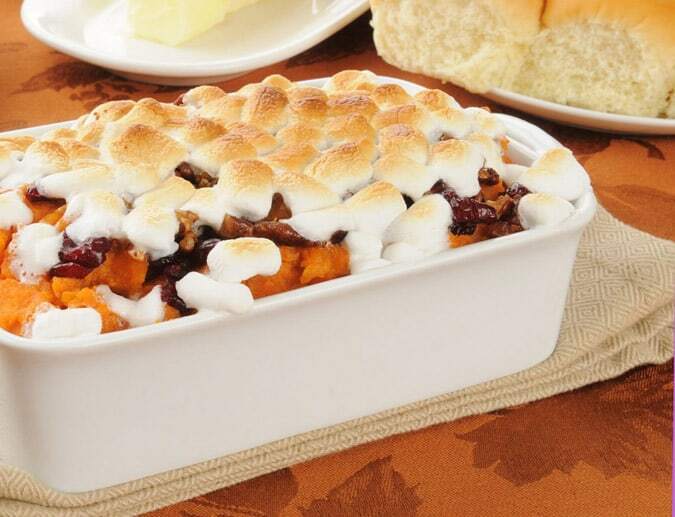 In the south we like our Thanksgiving yams all sweet and gooey. The thing with Candied Yams is you need to mash up the yams (or sweet potatoes) when they are hot. Since they take forever to bake in the oven, it presents a problem on Thanksgiving. You’ve usually got a Turkey baking away in the oven and a couple of other casseroles waiting to go in as soon as the bird comes out. Now, you can get those yams cooked faster and have your Candied Yam recipe ready to go in no time at all. Enter the wonderful, magnificent Instant Pot (which I refer to as my magic pot!). Just like making Mashed Potatoes above, you will need to peel and cube about 3 lbs. of sweet potatoes (or yams), place 1 C. in the bottom of the pot, and set the steam basket in the pot. Add the sweet potatoes to the basket and close and lock the lid, making sure the Pressure Release Valve is closed. Press the [Manual] button (which defaults to 30 minutes) and use the [+] or [-] buttons to set the cook time to 8 minutes. The pot will start in a few seconds. Cook at High Pressure for 7-9 minutes, depending on the amount of potatoes. When the yams are done, release the pressure by pressing [Cancel] and then turning the quick pressure release valve (on top of the lid) to [Venting]. Once the pressure is completely released you will be able to open the pot. Be sure to lift the lid away from you to avoid too much steam. Cook yams in Instant Pot according to above directions. Once yams are finished transfer them to a mixing bowl while still hot. Add both sugars, butter, milk, and cinnamon. Mash until well blended. Either a mixer or hand masher will work. Add yam mixture to greased casserole dish. (Optional) Sprinkle some dried cranberries across top. Bake uncovered until the marshmallows are browned. One of the greatest benefits to using a pressure cooker is the way it preserves the nutrition in vegetables. 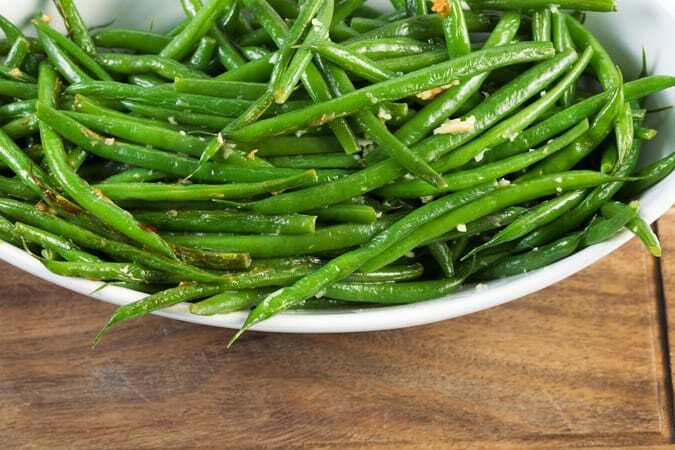 Green beans are an ideal vegetable to cook this way. Take 1 1/2 lbs. of fresh green beans that have been thoroughly washed. You can either leave the stems on or cut them off ~ it will make no difference. Add 1 C. water to the bottom of the Instant Pot. Place the steamer basket in the pot. Add in the green beans. Close and lock the lid and make sure the Pressure Release Valve is closed. Press the [Manual] button (which defaults to 30 minutes) and use the [+] or [-] buttons to set the cook time to 3 minutes. Yep, that’s right folks ~ 3 minutes. The pot will start in a few seconds. Cook at High Pressure for 3 minutes. When the green beans are done, release the pressure by pressing [Cancel] and then turn the quick pressure release valve (on top of the lid) to [Venting]. Once the pressure is completely released you will be able to open the pot. Be sure to lift the lid away from you to avoid too much steam. Remove the green beans and place in a serving bowl. Top with butter, toasted almonds, or bacon (or all three!). Serve hot. Add all of the ingredients into the Instant Pot and stir until blended. Close the lid. Since there is no pressure cooking involved the lid will not seal. (There is also a special slow cooker lid you can purchase separately). Set the Instant Pot to Slow Cooker. It will automatically set the timer for 4 hours. Once the Instant Pot is finished turn off. Stir the cranberry sauce. At this point it can be served or refrigerated until needed. If refrigerated, add a little water and warm slightly before serving. Wonderful recipes, great post but most of all you make me want one of those “miracle pots” so bad. I think I just might have to spurge and get one. Thanks for sharing these delicious recipes. Your ideas and recipes look yummy! Now that it us just my husband and myself and maybe a friend or two, I have simplified my Holiday meals. I use a crock pot to make scalloped potatoes. I slice potatoes, skin and all, add sliced onions, seasonings, and mushroom soup, cooking till done. Usually I do this the day before the MEAL. The day of the meal I use my roaster oven pan to cook a turkey breast. We eat it with the warmed scalloped potatoes, a veggie, and jellied cranberries. I love whole cranberries but my hubby likes the jelly so I keep plenty of cans of the jelly on hand. I miss the traditional food, but figure this is better for us and less labor intensive. If we decide we want the traditional meal we go out to a really great buffet and pig out. We usually take a couple of friends with us that don’t have family near as well. I am not trapped in the kitchen for hours and have minimal or no clean up or agonizing over what to do with leftovers. That’s exactly what I’m talking about. Spending time with loved ones always trumps a fancy meal you’ve prepared. I really am enjoying the Instant Pot and am looking forward to my first Instant Pot thanksgiving! Everyday, I get better and better with my pot. I don’t think I would need another appliance if it made coffee, too! I couldn’t be more excited about THANKSGIVING however, I think this year is going to be a LITTLE different than previous years – womp womp! Wow! Lots of recipes packed into this post! Thank you!! I love all of this food! I’m just still trying to figure out why anyone would break up with a crock pot. Ah, me and my crock pot. Well, it happened to boil over beef broth into two drawers, my cabinets, and behind my stove. After that, I purchased an Instant Pot. My question is how many people do these recipes serve? Each recipe should indicate how many it feeds. It’s the day after Thanksgiving and I just had to thank you for your recipes and telling your readers about the instant pot. My oldest daughter and I both bought an instant pot and we used all of your recipes – HUGE SUCCESS all the way around. Today I ordered an instant pot for another daughter and daughter-in-law. Hope you and Mr. SH had a wonderful day. As always, I love your blog. 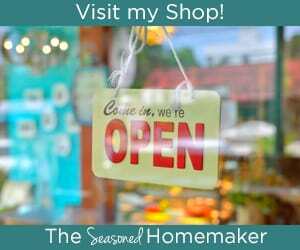 Great recipes, great sewing tutorials and ideas – you are truly part of our family in every way. 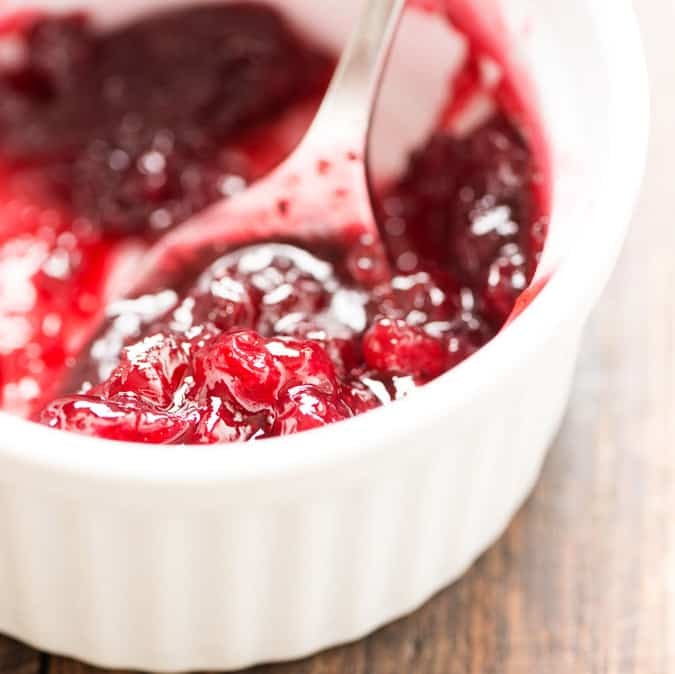 Hi, which temperature setting should the cranberry sauce be for slow cooking?